Nature and Science to merge? Will it be called Natural Science or Science Nature? 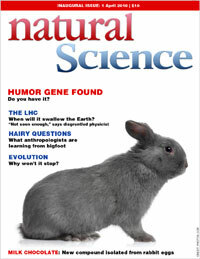 You can vote on it when the esteemed journals Science and Nature combine to form a new, open-access journal. I hope you all have a crazy April 1!